Beverley House Holiday Apartments07960 796309work Self-cateringOpen all year Beverley House is a beautifully maintained friendly family run Victorian property in the heart of Cromer. Easy access to all amenities. Prices include internet access, heating, hot water, lighting, colour TV and DVD players to all apartments. 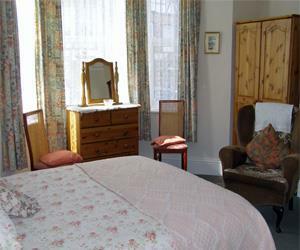 Open all year Beverley House is a beautifully maintained friendly family run Victorian property in the heart of Cromer. Easy access to all amenities. Maximum of 10 minutes walk to supermarket, shops, railway station and coach pick-up point. Perfect location for the beach. Close to cinemas, golf course, pier, boating lake, restaurants, museums and other children's attractions. From King's Lynn take the A149 then A148. At Morrison's supermarket, Cromer, left onto Beach Road, second left onto Bernard Road, first right to Alfred Road. From Norwich take A140, then turn left onto A149. Continue through Cromer on A149, arriving at Runcton Road (Coastal Road) and after 0.2 miles turn left into Alfred Road. Rail from Norwich to Cromer Station.